Meet Nina: The last daughter amongst 5 siblings, Nina loves singing and chatting. The 21-year-old English and Literary Studies graduate enjoys eating spaghetti and enjoys music by Wizkid. 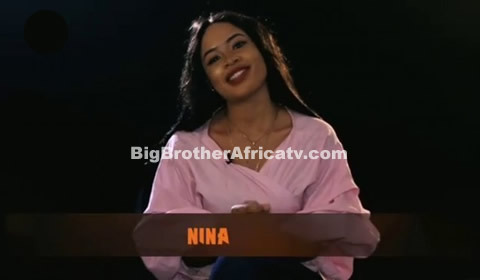 Nina brings her people skills to the House: she says she loves talking, interacting with people and singing. Nina knows she’ll be the fans’ favourite because she will be “real and fans will love that”.